[Update: November 24, 2015] City of Las Vegas had responded to our petition – Ansan, South Korea is not their Sister City. We have been informed by the city of Las Vegas in Nevada, that they have not had a sister city relationship with Ansan, Korea since 1998 and that there is NO sister city relationship with their current mayor, Carolyn Goodman. 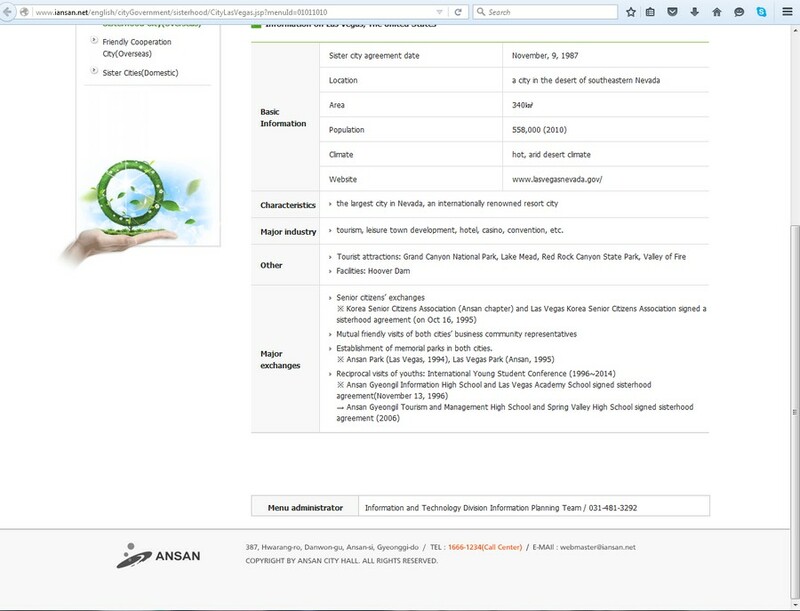 The city of Las Vegas has already asked the city of Ansan to remove the information on their page, erroneously stating that they are Sister Cities, but as of today, it had not been corrected. 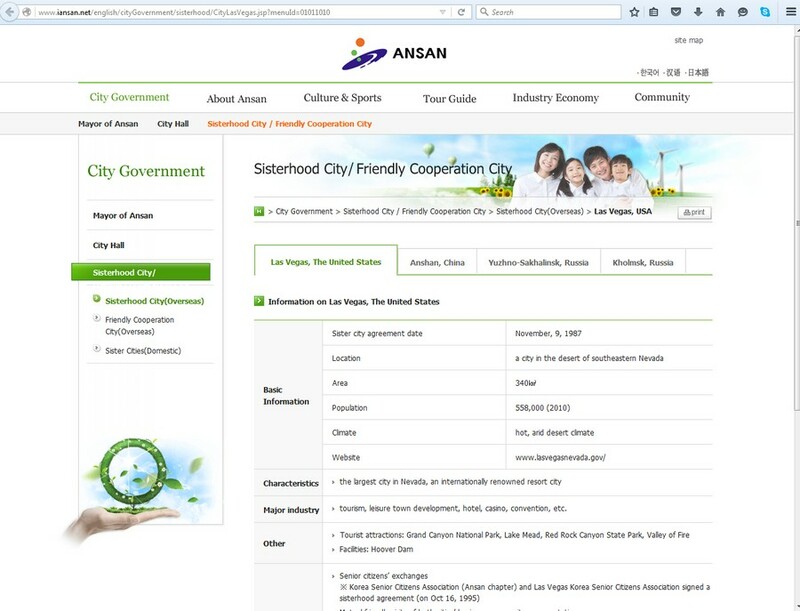 Click HERE for the Ansan’s Sister City Information page. We appreciate that the city of Las Vegas had responded to our petition, as most of the cities which we petition do not respond to us. Thank you, city of Las Vegas, Nevada. That said, we are closing this petition. Although Las Vegas is no longer a Sister City of Ansan, which we were not aware of at the time of creating a petition, we are certain that this petition helped to raise the awareness about the horrendous cruelty that is happening in every corner of South Korea, and especially in the city of Ansan. Now they are aware of the negative attention they are attracting from the world as the city of cruelty and indifference. So, thank you for signing and sharing our petition! Your signatures weren’t wasted. Two of the dogs rescued from one of the dog farms in Ansan will become available for adoption by Nami Kim and her team. Click HERE for information about these dogs. 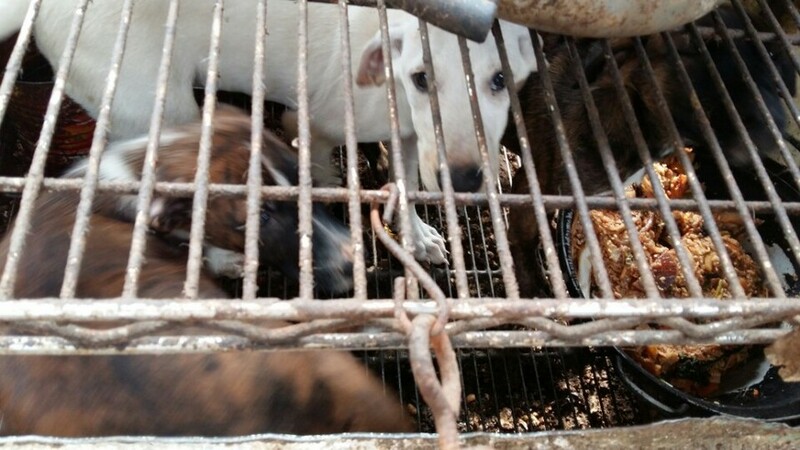 Mayor Goodman of Las Vegas: Tell Sister City, Ansan, South Korea, That We’re Opposed to Torture and Consumption of Dogs and Cats! Ansan (Gyeonggi-do Province) of South Korea became a sister City with Las Vegas in 1987, despite the fact that Ansan is responsible for a horrendous dog and cat meat cruelty. 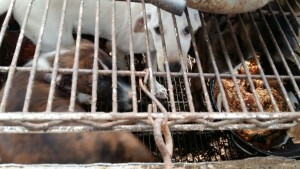 In South Korea, home to global companies such as Hyundai, Kia, Samsung, LG, Daewoo, SK, and POSCO, an estimated 2.5 million dogs are tortured and slaughtered every year because of the greed of dog eaters and the dog meat industry, and the profound indifference of the majority of South Koreans who does nothing to stop this. 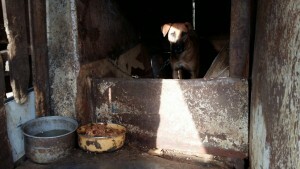 One of the cities which supports the illegal mass breeding and brutal slaughter of dogs for human consumption is Ansan. Have you ever wondered what Hell is like? 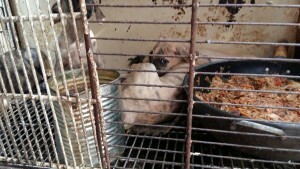 Click HERE to see the photos and the videos of dog farms in Ansan. 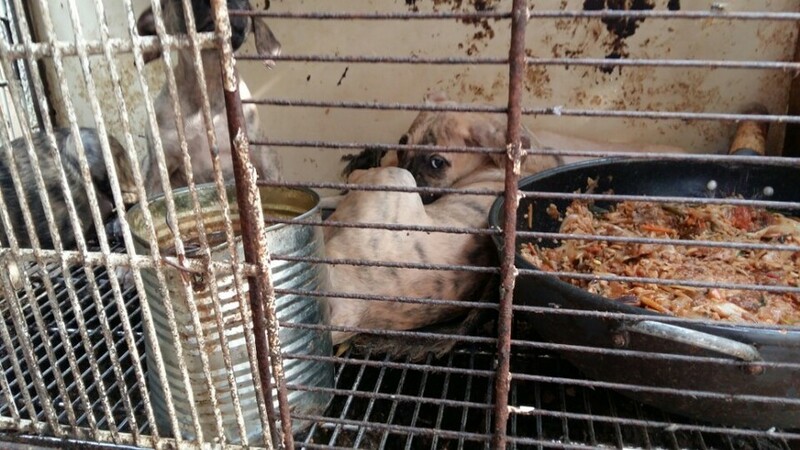 There are no words to describe the daily horror of these “Hell On Earth.” There are so many dog restaurants, slaughterhouses, farms and meat markets like these all around Ansan. Click HERE for video of a dog farm in Ansan! Countless dog farms and slaughterhouses are scattered throughout Ansan and they truly are hell on earth for the defenseless dogs suffering there. 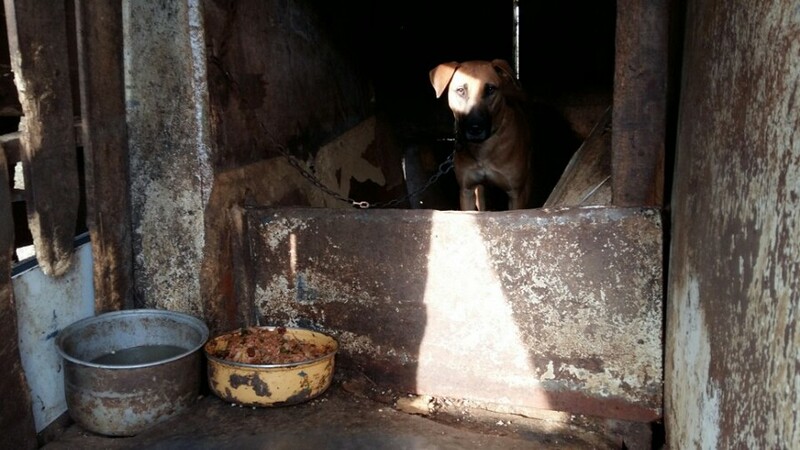 Man’s best friend exists for their entire lives in squalid, feces encrusted raised wire cages in utter misery only to be slaughtered in the most horrific of ways – by electrocution, a hammer blow to the neck, being hung or beaten, bleeding to death from a slashed throat, being burned to death from a blowtorch, or thrown into a vat of boiling water while still alive. No matter where you live PLEASE SHARE these actions with your friends – especially those who live in Las Vegas! Stop this cruelty against dogs! Stop the slaughter of dogs and cats. This is a crime, not a culture. Your leadership is needed in this area to stop the crime. Please STOP THIS INHUMANE DISGUSTING MURDERS OF THESE POOR ANIMALS WHO HAVE DONE NOTHING WRONG ..HUMANS DON’T DO THIS OR ALLOW THIS !Thank you .